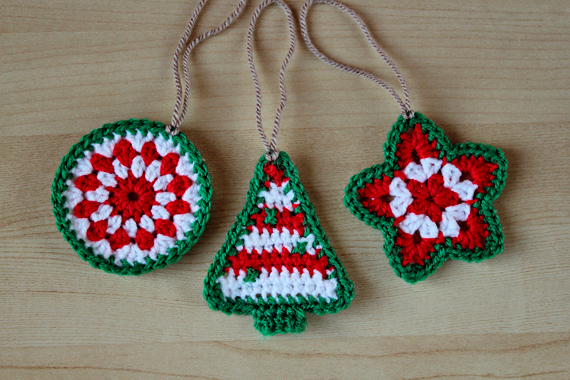 This is a crochet PDF PATTERN for ‘Crochet Christmas Ornaments’ – a Circle, a Tree and a Star. The pattern that you will receive is very detailed. It comes with a 23-page easy to follow instructional and photo tutorial. The pattern contains 58 helpful pictures to make the project as easy to follow as possible. I found your site on Pinterest and have been trying for some time to find the Patterns for a set of crocheted Christmas ornaments and for the life of me, I cannot figure out what link will take me to the right page. Can you please let me know by email how to complete this task. Thank you and I hope your Thanksgiving was precious.